Blizzard which is worth 16 Weight Watchers points plus. 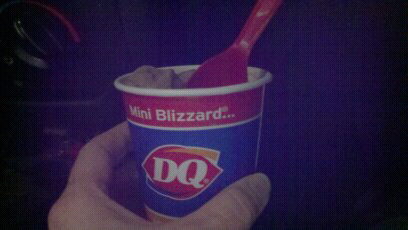 Labels: PB Cup mini Blizzard. The local DQ just opened for business and we brought the boys for some ice cream. Nice treat!